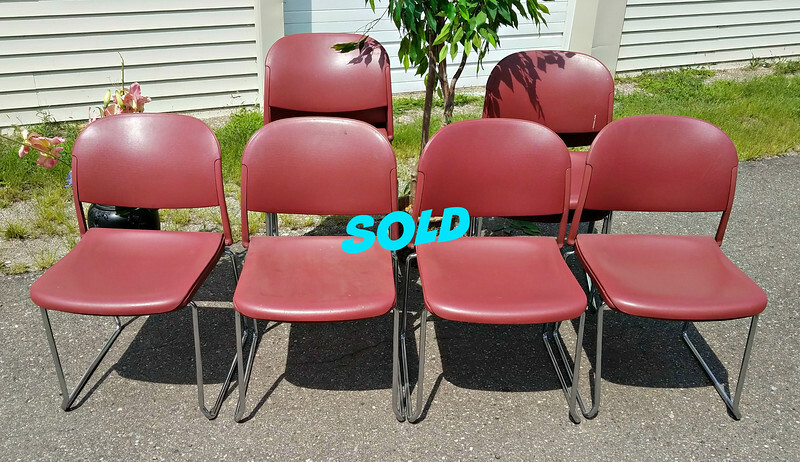 Selection of Comfortable Premium Metal Frame Stackable Chairs in Excellent Condition. Approximately 20 available. 18 1/2 x 24 x 32. $15 each.